I’ve gotten several requests for more applique blocks. I guess pieced blocks are not everyone’s favorite. So, as holiday gift I did an additional block. Download and have fun. I have a fence design that will share when we meet in Jan, I think it will work really well for sashing. 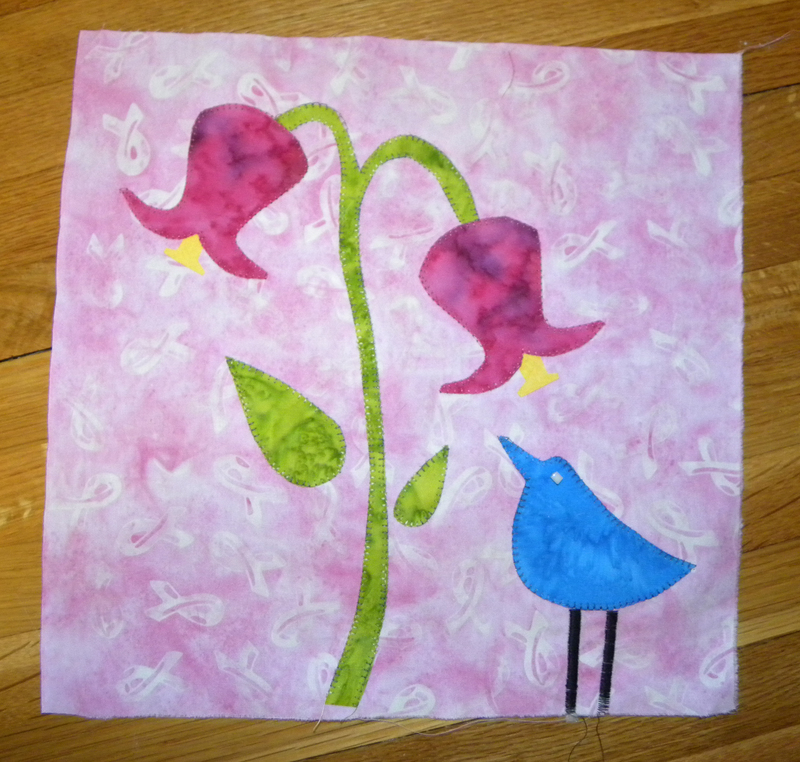 I’m glad you like the blue bird, it was fun to make….the flower needed something else. I can’t wait to see the fence design…sounds like a great idea.